Danzan Ryu Jujitsu is a traditional system introduced to the west in 1923 Hawaii by Professor Seishiro “Henry” Okazaki. Danzan Ryu (Hawaiian islands system) is the largest traditional Jujitsu system taught in the U.S. It was developed for combat and self-defense as well as perfection of personal character. Professor Kevin Colton is a Rokudan, 6th degree Black Belt with over 45 years of teaching and training experience. He also holds certifications from the American Judo & Jujitsu Federation (AJJF), Pacific Jujitsu Alliance, and the Kilohana Martial Arts Association. Our dojo is made up of some of the most dedicated and enthusiastic practitioners the art has to offer. Ready to get on the mat? At Santa Clarita Valley School of Jujitsu, our skilled Santa Clarita martial arts instructors are prepared to offer the tailored training you deserve. Call us today at (661) 255-6000 to begin! Find out how your kids can benefit from martial arts instruction. Professor Colton began training in jujitsu at 10 years old at the Pacific Palisades YMCA in 1966. He went on to earn his first-degree black belt in 1976 and opened the Santa Clarita Valley School of Jujitsu in 1993. Since then, he has promoted 51 students to the rank of Shodan, first-degree black belt. 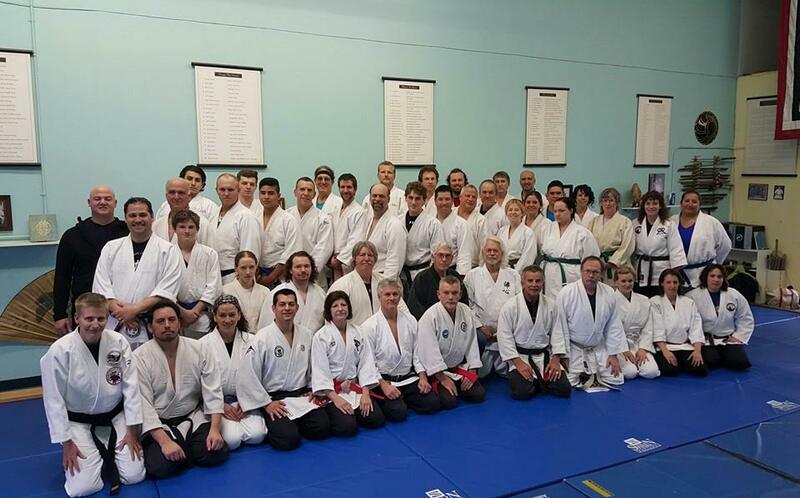 Each of our black belts is committed to offering the highest levels of instruction, helping students learn the details of every technique. Led by Professor Colton, we work with students on a one-on-one level, explaining the small nuances of each technique to help them learn not only what they should be doing, but why. This approach helps students of all ages, ability, and athleticism to achieve their full potential as they make their way through the art. Danzan Ryu Jujitsu is unique among martial arts as it is a comprehensive system that covers defensive techniques, offensive techniques, and healing arts. We are not a black belt factory that promotes students simply for having been with the class for a certain amount of time. 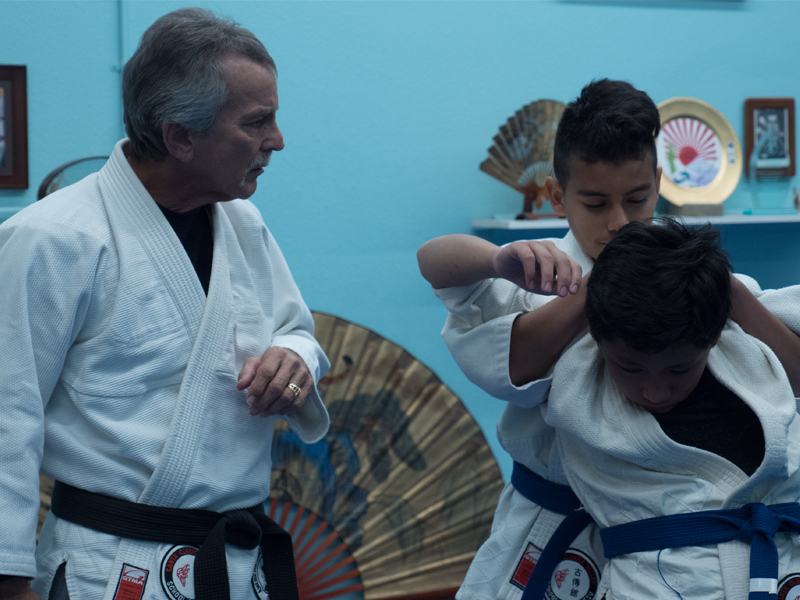 Our dojo trains intensively, and Professor Colton will only test a student when he believes them to be fully ready for the next step in their journey. This dedication to the highest standards means that students from our school consistently have a reputation for testing exceptionally well and performing at high levels in competitions. At Santa Clarita Valley School of Jujitsu, we are proud to be more than a school of students and teachers. We are truly ‘ohana, a family, treating each other with kindness and honesty as we help each other to improve. The connection we share does not end when we leave the mat. Indeed, many of our students have come to find that joining jujitsu means forging bonds that last a lifetime. To sign up for your first free class, contact us today at (661) 255-6000.